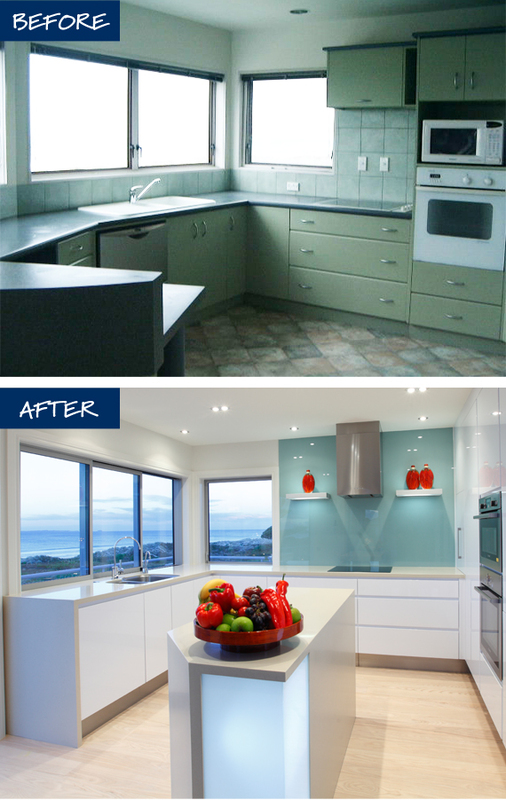 Where the kitchen colours are pale & clean, the bar/media room has a more masculine palette. 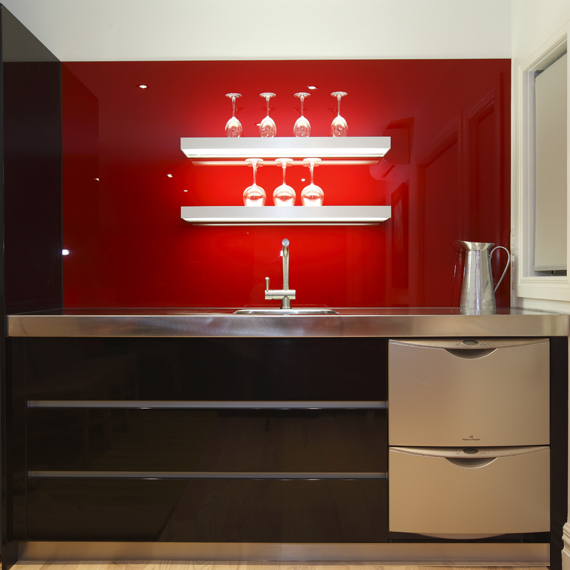 The black & red are very dramatic and show off the lights and stainless steel to its very best. These powerful colours are striking while still blending well with the purpose and decor of the room. This is one of my favourite projects! 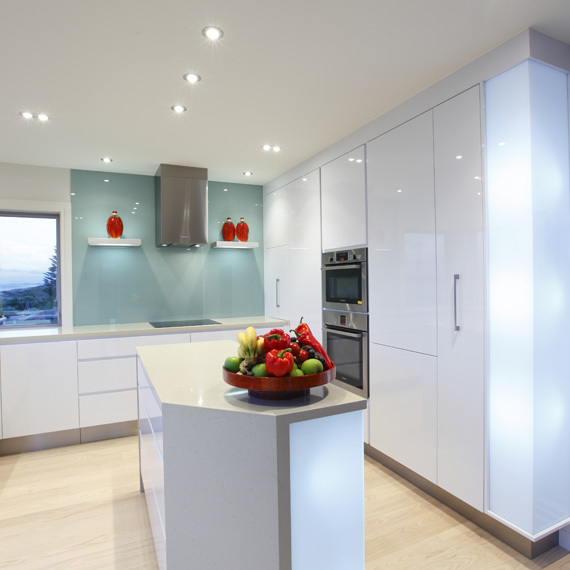 If you like what you see, contact Mastercraft Kitchens, and talk to one of our Design Consultants about your next kitchen.